Flight crew failed to engage in evasive maneuvers following missile launch, IAF internal report claims, leading to downing of F-16 fighter. An Israeli fighter jet which was shot down earlier this month was lost as a result of human error, an internal Israeli Defense Forces probe into the incident has determined. On February 10th, an Iranian unmanned aircraft operating out of Syria violated Israeli airspace, before it was shot down by Israeli forces. In response, the Israeli Air Force launched a series of air strikes against Syrian and Iranian targets around Damascus, including a command and control site which had been used to control the Iranian drone aircraft. Initial reports by local human rights observers claim that at least six people, including both Syrians and foreign nationals, most likely Iranians, were killed in the Israeli strikes. During the air strikes, one of the Israeli F-16I “Sufa” fighter jets involved in the operation was targeted by a Syrian S-200 anti-air missile. The missile exploded close enough to the Israeli craft to cause serious damage, forcing the two crew members to eject after they returned to Israeli airspace. Both suffered injuries in the incident, but have since been released from the hospital. 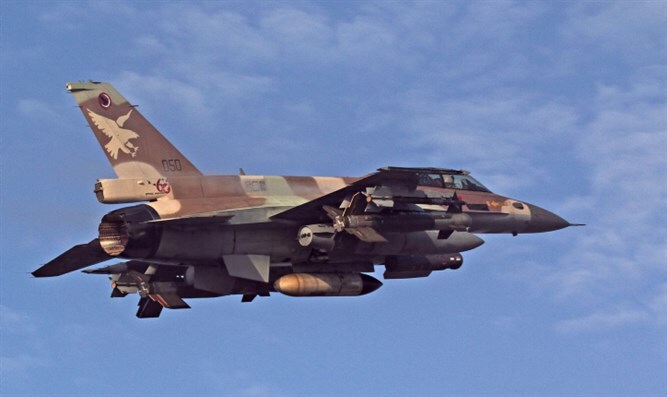 Two weeks ago, Channel 10 claimed that a preliminary report by IAF investigators suggested that an “operational failure” had occurred during the operation, resulting in the loss of the Israeli fighter jet. The report noted that the F-16I, a relatively advanced aircraft, would normally not be vulnerable to the aging S-200 missiles, developed in the late 1950s. On Sunday, the IAF revealed that its internal probe of the matter found that the operational failure was caused by human error. According to the IAF, the flight crew failed to engage in the kinds of evasive maneuvers required following a missile lock and subsequent missile launch. An IAF spokesperson said that the aircraft’s systems had operated as required, and indicated the threat to the pilot and navigator. Investigators also found no fault in the planning of the operation which targeted Syrian and Iranian sites around Damascus. A senior IAF officer told reporters that the flight crew failed to respond to the targeting and launch of the anti-aircraft missile, leaving them vulnerable. But, the officer added, once the aircraft was damaged, the crew had no choice but to bail out.